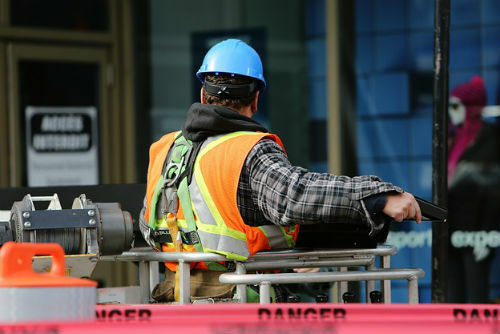 Take a "Stand Down" to prevent workplace injury in Ohio. Take a “Stand Down” to prevent workplace injury in Ohio. Construction, by its nature, is a dangerous industry. With much of the work happening from elevation, fall hazards are a major concern and fall protection is a must to prevent injuries and deaths.​2015, falls accounted for 350 of the 937 construction fatalities in the United States. * The previous year in Ohio, there were 993 falls from elevation, with 324 of these falls happening in construction. Falls don’t need to be from great heights to have serious consequences; even short falls from elevation can cause serious injuries. However, proper training and awareness can help prevent injuries and fatal accidents. Each year, the Occupational Safety and Health Administration (OSHA) looks to raise fall hazard awareness across the country with its National Fall Prevention Stand-Down. This year’s stand-down is happening May 8-12. We strongly urge Ohio employers – especially those in the construction industry – to have a stand-down to discuss fall hazards and fall protection sometime between May 8 and May 12. BWC can help you plan your stand-down activity. Call 800.644.6292 for assistance. The BWC Library also offers an extensive collection of audiovisual materials related to fall hazards and fall prevention.